From the day they are new, attenuators are all slightly different due to manufacturing tolerances. HP step attenuators have no internal adjustments, so it should not be assumed that a "calibrated" unit is somehow better than one which is not. At best, the presence of a calibration label means only that the performance met the originally specified tolerances when it was measured. We go one step further than this. 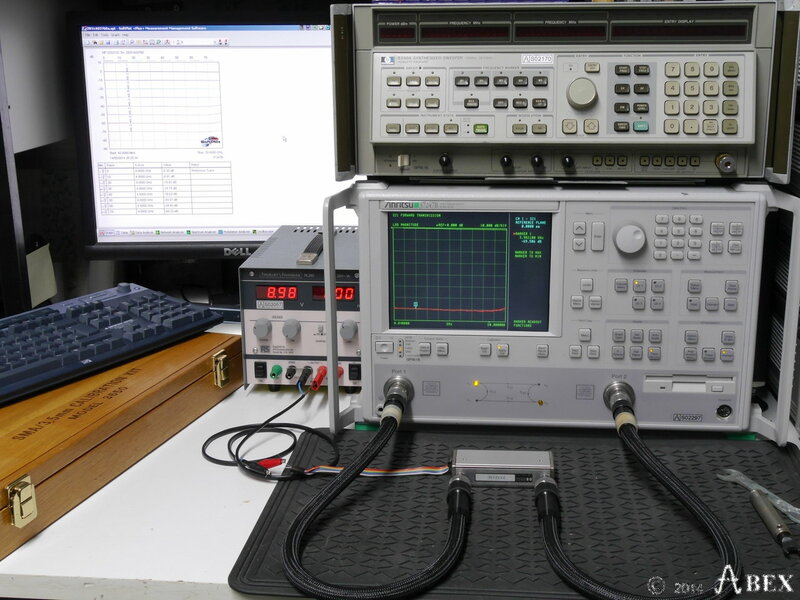 We sweep the test frequency over a wide range, and capture all of the data. 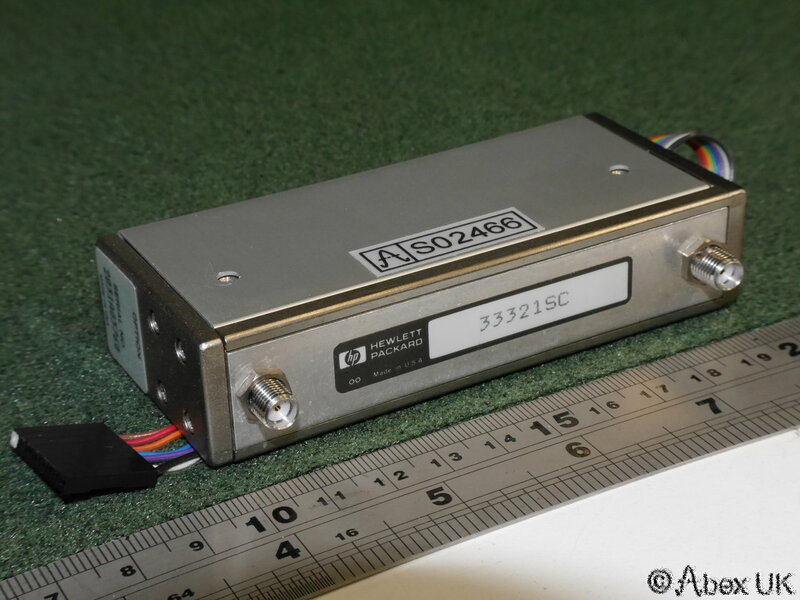 The HP 33321SC is an OEM remote control device with 10dB, 20dB, and 40dB sections, giving 10dB steps from 0 - 70dB. 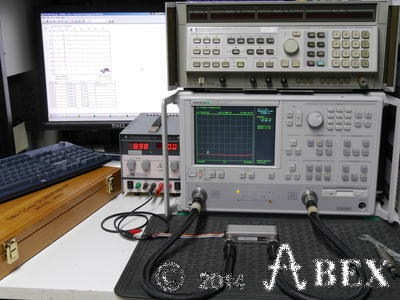 This fully certified unit meets or exceeds HP specifications up to 18GHz and is suitable for use as a lab reference. Little used, in excellent cosmetic condition. 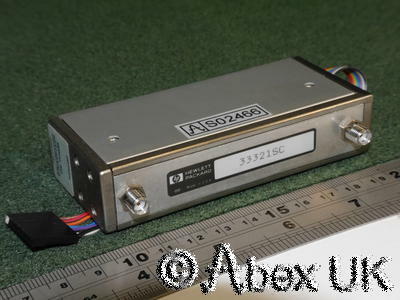 Please view the measurement data, and HP technical manual.